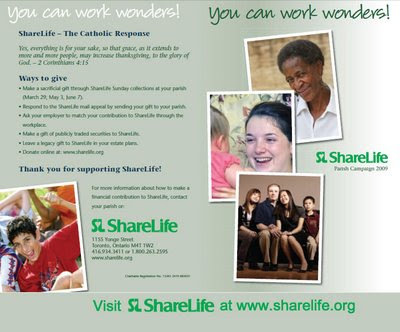 By making a contribution to ShareLife today, you are making a significant impact in your parish, in your community and around the world. - More than 225,000 people received care from ShareLife agencies last year likely including people from your parish. - Countless others around the world received assistance and faith resources with ShareLife funding. to continue to make a difference.